How Does Online Pet First Aid Training Work? Watch the training videos. The course is split into bite-size chunks so you can pause, stop, and rewind as needed. With online training, you're in control. Complete the final test and print a certificate showing your achievement and proficiency. You are now prepared to help your pet in an emergency. It's easy to forget what you've learned. Take advantage of 22 months of video access and weekly email refresher videos to keep current. 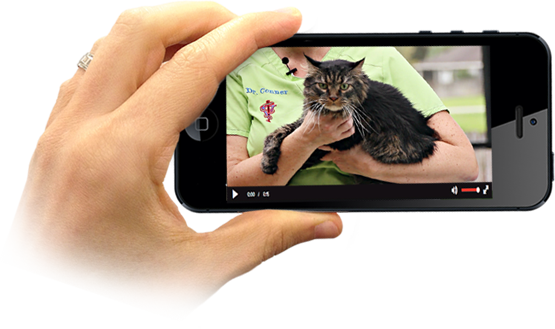 Pro Pet Hero is a video-based course taught by an experienced instructor. The subjects are introduced in short, bite-sized segments that you can rewind, pause, and fast-forward. And you can leave the course without fear of losing your progress, letting you learn at the time, place, and pace of your choice. No more being embarrassed to ask for review or getting bored with a slow pace. Just enjoy control and convenience while learning 1-on-1 from an instructor, always from the perspective of the best seat in the class. As you watch the videos, you will be able to answer pre-test questions to make sure you understand the main learning points. After the training, you will take a scenario-based, multiple-choice test, which you must pass with an 80% or better. Training and test questions offer remediation so that you know why you got them wrong. The final test is adaptive and identifies the areas where you struggle the most. Didn't pass the first time? We'll show you videos based on the questions you got wrong so you can pass the next time. Take it as many times as you need until you pass! If you don't use or refresh your newly-learned skills often, you'll lose them. Hopefully you won't have to use them much, but what happens when you need them? To help keep your skills fresh, you will receive weekly emails with a short video from the course. You can always unsubscribe, but we think you will agree that this is the best way to make sure you're prepared in an emergency.